We write with great sadness about the passing of icon Bernard "Lefty" Kreh. Lefty, as he's known by everyone on the planet (except for the US Department of the Army, with whom he served during World War II as a forward observer at the Battle of the Bulge at age 17), was a passionate angler, teacher, and consummate gentleman. 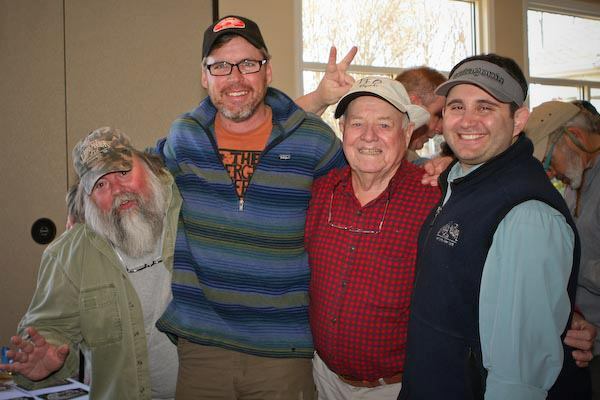 He was a fixture at fishing shows, an accomplished author, was a prominent feature on television, and has done more to further the sport of fly fishing than anyone else in recent history. Learn more about the life of the "unpretentious man with a perpetual smile and quick joke." So, we've been just a little busy.